Hinduism and Yoga is mainly derived from Tantra / Tantric (contributed by South Indian Siddha masters) not from the Veda / Vedic (North Indian Mystics). Of these two path, it appears Tantric teachings has had influence on the birth and growth of Hinduism and Yoga. Swami Satyananda Saraswathy, the founder of the Bihar Yoga (disciple of Swami Sivananda, founder of Divine Life Society), who writes : " it should be remembered that present day of Hinduism almost entirely based on Tantra: it is not completely based on the Vedas as so many people think." 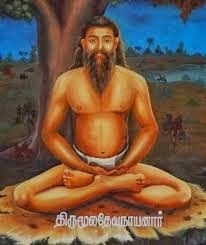 Most forms of Yoga and Hinduism have their physical and spiritual roots in the ancient soil of Tantra (Kumarikandam / Lumeria) in South India, not in the Vedas, as most Hindu scholars in the North India wants us to believe. In fact, it was Tantra that first influenced the Vedas. What they had was not just intelligence but intuition. They could see, hear or feel beyond the realm of the five senses. They did not need telescopes, microscope or other scientific equipment to unravel the mysteries of the cosmos. They only relied on the most powerful instrument in the world the human soul which has it in a latent sense, omniscience and omnipotence. The earth plane was actually designed as a laboratory for the evolution of souls, so the GOD send us His reprsentative in the form of Siddhas, Yogis and Rishis to show us the way. This great souls are in every part of the world, but particularly in India and especially in Tamil Nadu, the land of the Mystics. 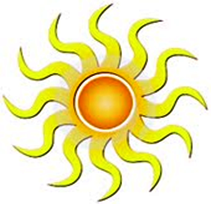 The Siddhas were scientists, particularly in their investigations into chemistry, astronomy, plants, human anatomy and physiology. They applied their extraordinary powers, developed through intensive yogis practices, to research these areas on atomic and universal levels without the use of sophisticated equipment. In the long lineage of Siddhas, one does not know when they came into earth's existence. Whether they still exist or are they Ascended masters teaching humanity the various sciences and philosophy, will perhaps, be never known to common man. Using special salts as well as herbal formulae the Siddhas developed the unique science of rejuvenation, known as "kaya kalpa", which allowed them to prolong their lives until the long term effects of Kriya, Kundalini, Pranayama and similar yogic practices could complete the process of transformation, bringing about physical immortality. Siddhas followed the ancient Guru- disciple apprenticeship method. They revealed their secrets to those students whom they felt could be trusted not to misuse the science. The science of Kaya kalpam was limited to those great sages. who were prepared for the uplifting of humanity. Ayurveda came much later as discipline. The Siddhas had vast knowledge of human anatomy. Their single-minded concentration was unique. It was achieved with perfection. Their literature on medicine was extensive. The Siddhas were a close-knit community and preferred to preserve their knowledge. They reduced this knowledge to codes and symbols and their literature was steeped in mysticism. Only a Siddha can decode the writings of a Siddha. A beginner could not gain any appreciable knowledge without the Siddha accepting him as a student. Siddhas such as Thirumular, Agastyar, Boganathar, and many more had realized their capacity for experiencing and manifesting the Divine. This was not only limited to the spiritual plane of existence. The Cosmic Spirit would descend into the more lower and gross planes of consciousness, the intellectual, mental, and physical bodies. This for us is a limiting thought as our yogic parasites are not as intense as the Siddha. With progressive surrender of their being , their ego and their very lives the Divine would indeed transform them. With intense practices of various Kriyas, hatha and bhakti yoga, meditation, mantras and Kriya Kundalini Pranayama they merged with the Cosmic Spirit . This was race against time as the natural breakdown of cells, catabolism, had to be reversed to anabolism to prolong the extent of their age. They had to complete the Divine transformation. With Kriya Kundalini yoga and using specific herbal and mineral salts they were able to prolong their youth for the Ultimate transformation. During 2012, the Sun, Earth and Karthigai star, will be in alignment resulting in more of the grace light entering the Earth plane. Thereafter, it is predicted that the Karthigai - Lord Murugan energy will be responsible for the transformation of the planet and of the genetic evolution of the human species into Gods and Goddesses status. This energy will allow humans to return to their original blueprint. The most important thing to remember about these new energies is to stay conscious and match our frequency to received it through proper worships, rituals, yoga and mystical knowledge according to great siddha masters. 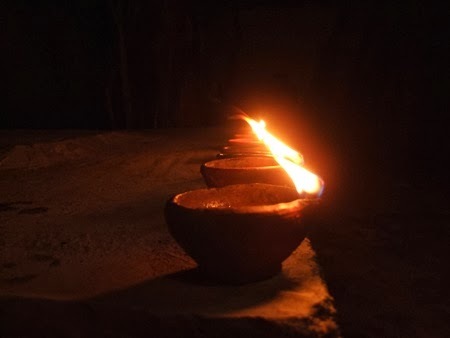 - Offering Tharpanam for more then 60 generation of your departed ancestors who will be waiting for your help and to bless you in return for greater health, wealth and prosperity at the one of the most powerful vortex connecting to ancestral world through priest and offering Tharpanam by at another powerful vortex by yourself. - Taking holy dip at he most powerful vortex of river Ganga, Yamuna and Saraswath to purify Soul. - 3 days 2 nights Nature retreat at Shimla, one of the top 10 must visit place in India. At this place we will have a satsang with Vijayakumar Alagappan on the true essence of soul and the purpose of human life.